IJREI journal is a self-supporting organization and does not receive funding from any institute/ government. Hence the operation of the journal is merely financed by the processing fee received from authors. The processing fees are required to meet operation expenses such as internet services,hosting charges, employee salary, paper editing services,and website update etc. 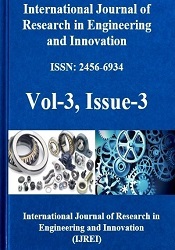 Publishing an article in IJREI journal requires article processing charges that will be paid by author after acceptance of the article for the publication. In open access publication, paper processing charges replace subscription charges and allow publishers to make the full text of every publisher article freely available to all interested reader. 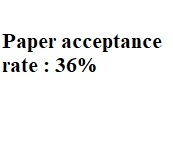 Paper withdrawl policy: After Paper publication, If author wants to withdrawl his/her paper then they have to submit paper withdrawl charges Rs-3000/150USD for each paper. For Subscription orders may be contact directly to publisher using Journal Subscription Form or contact your preferred subscription agent. All orders should be accompanied by payment of Rs. 3000 half yearly.